Why do just one rainbow handprint craft when you can do two? Squirt craft paint onto your hand in rainbow order, starting with red at your fingertips and ending with purple on your thumb and lower palm. 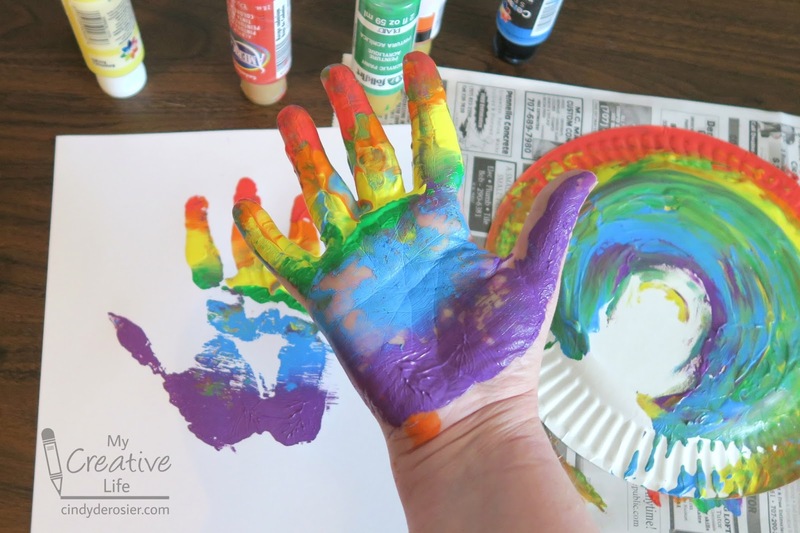 Use a foam brush to spread the paint evenly, taking care not to mix the colors too much. 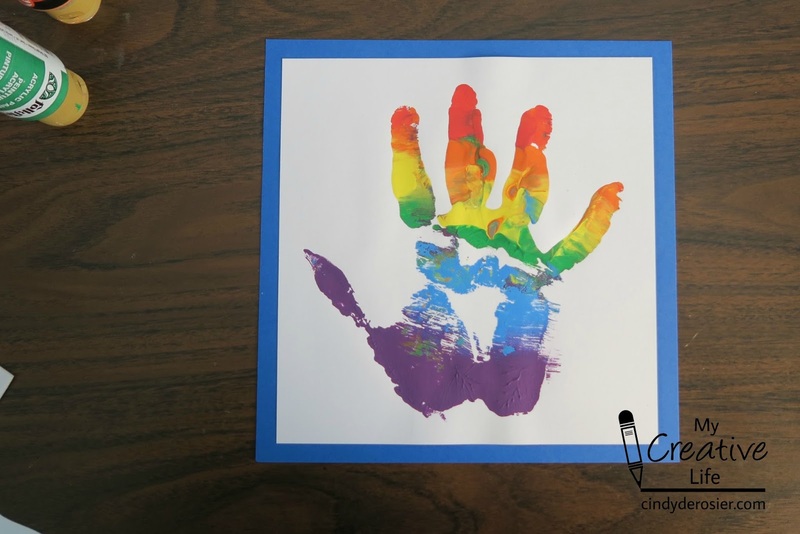 Stamp your hand onto the center of a piece of white cardstock. Wash your hands and let the paint dry completely. When the paint is dry, trim the white cardstock so that it has an even margin around the handprint. 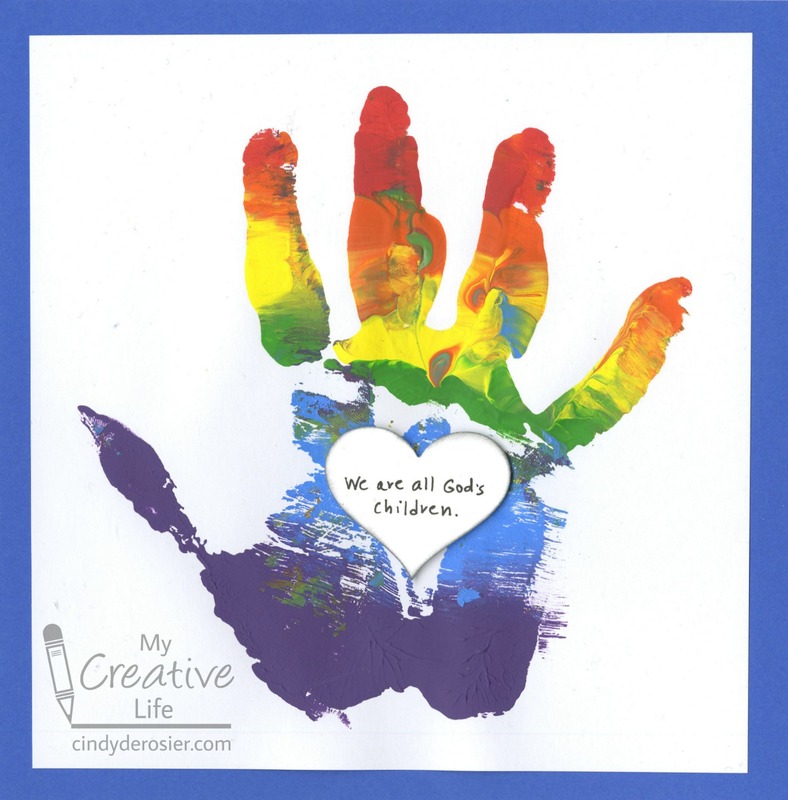 Use the blue cardstock to make a mat. Punch a heart from the scraps of white cardstock and write your message on it. You can use the same message I wrote or something else. Love love love love this!!!!!!!!!!!!!!!!!!!! This one especially touches my heart. I LOVE it so much!